What’s the one game that pops up to your mind when you’re thinking about luxurious casinos, enormous money bets, and big, fancy lobbies? — Roulette. 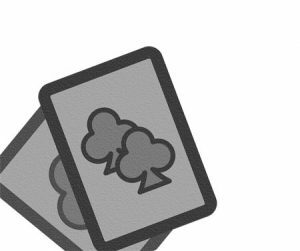 It has been around ever since the 1800s, hence why his game secured its place in many casinos worldwide as their main star. Therefore, it only comes natural that once the first online casinos opened, the game of roulette had its spot automatically reserved in all of them. Online roulette games come in all shapes and sizes, but the rules always apply and their core is always the same. Today, you can find thousands of online casinos and all of them offer roulette as one of the games. Whether you’re someone who prefers playing from the comfort of your own home after a long day of work or a person who wants to take in the atmosphere of a land-based casino, you’re covered. The modern world is wonderful in that way, and you should definitely take advantage of it. Here’s the biggest and the most important question though — how will you know an online casino is safe? Which online casino should you choose, and how do you make sure that the roulette you’re playing on is fair? I hope you weren’t going to just simply find the first online casino that pops up and trust it with your money? — Because that would be a huge mistake. There are so many online rogue casinos just waiting to take advantage of your trust and never return your hard-earned money. Luckily, there are standards you can look out for in order to verify a casino’s credibility. Once you do that, you can play online roulette as much as your heart desires. And by the essentials, I mean all the knowledge I want to share with you so you can protect your money. It’s just a couple of steps you need to go through before you start having fun playing casino games and roulette. I can’t emphasize this enough. Online casinos need to be licensed by a trustworthy regulatory body. Otherwise, there is nothing to stop them from stealing your money; and they will probably do just that. The MGA license is one of the best, and any casino licensed by it should be good (this is not set in stone though). And if you’re playing from across the pond, any online casino operating in the UK must be UKGC licensed. You need to make sure you are safe and secure before you start playing. There are a lot of very good review websites on the Internet where your fellow gamblers share their experiences with a certain casino. Everything is rated; from the payouts to software and house edge. Based on this, you will instantly know if you should play for real money in an online casino you’ve stumbled upon or not. It’s what makes them rogue. They are fraudulent and basically lie about everything, particularly about licenses. The best way for an online casino to earn your trust is to convince you it is licensed. So how can you find out if it is actually licensed or not? — Once again, the Internet is your best friend. The MGA created a list of unauthorized URLs on its website where you can find names of all the online casinos that lie about being licensed by its jurisdiction. Very convenient, is it not? This way, there is absolutely no change for a rogue casino to trick you. Now that you chose a legitimate online casino, you have to verify if they pay enough attention to the roulette. It is true that all the casinos offer it, but some don’t set it as a priority, nor even a second priority. Some of them simply put it out there because it became a standard. So let’s break this down and make sure that you not only keep your money safe but also help you earn some as well. There are three basic variations; European roulette, French roulette, and American roulette. Many will advise you to avoid American roulette, and they’re right. A roulette wheel consists of slots with numbers on them, painted either red or black. One of the numbers is zero, and it is painted green. Unlike the French and the European roulettes, the American one has two zero slots, a 0 and a 00. This makes your odds much lower, and you might end up feeling very frustrated. As a roulette player, you should opt for the European version, and if available, the French one. They both have a single zero slot, and as an addition to this, if a casino plays according to the rules of French roulette, it will take only half of the bets should the ball land on that green slot. However, there is also a Californian type of roulette, so don’t get confused. Moreover, any games where the outcome is decided by dice or balls are deemed illegal in this state. Therefore, the roulette here is in the form of cards; there are 38 cards with identical numbers and colors, as on a regular roulette. The dealer then puts the cards in an automatic shuffler, and whichever card comes out is the winning number. How to Best Choose an Online Roulette? These are some of the biggest players in the gambling industry, so any online casino that has their games will probably set you up for a magnificent experience. This is something I’ve mentioned before — a good online casino should provide you with a number of roulette games. If you play on a single roulette the whole time, you’re bound to get bored and lose your enthusiasm. So make sure your online casino offers at least over 10 roulette games to keep the fun alive. If It’s Not on Smartphones Does It Even Exist? Whether we like it or not, smartphones have become a crucial part of our everyday lives. So it is unacceptable for an online casino not to have a smartphone application developed. Considering just how busy we are, it is mandatory that you’re able to do things on the go. Online casinos are no exception to this. Does This Online Casino Offer Live Roulette? Because it should! As much as virtual roulette is fun, live roulette can be even more exciting. A good online casino should let you have this option — it’s easier to win big if you feel at least a part of the atmosphere. Some casinos have a policy of maximum bets. For example, you can’t bet anything higher over $50, and quite honestly, this can be very frustrating. Responsible gamblers are perfectly capable of setting limitations for themselves, and some players have a lot of money to bet, so why limit them? 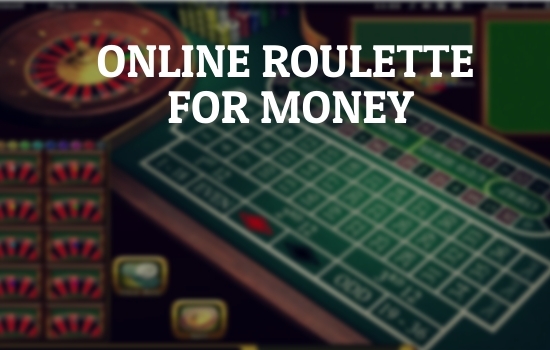 Now that you know where to play online roulette for real money and how to choose a good one, there’s nothing stopping you from playing. You will surely have a lot of fun while feeling safe at the same time. Just remember to be responsible and know your limits. Happy betting!